Wonder Woman is coming sooner than expected. But don't get too excited. It's just by a couple of weeks. Originally slated to arrive on June 23, this next DCEU adventure will now arrive on June 2, 2017. There, it will have to compete with Bad Boys 3, Barbie and Captain Underpants. The change comes amidst a big shake up at Warner Bros. as they adjust their impending slate of movies in the wake of Batman v Superman: Dawn of Justice underperforming at the box office. Another movie greatly affected by this shake up is The Jungle Book: Origins. Though, it is being delayed by more than a year. The film has been pushed from October 6 to October 19. Disney is set to release their Jungle Book in theaters next weekend, and word of mouth is that it's a great family film. The Jungle Book: Origins will understandably be a bit darker. The Disney version is directed by Jon Favreau, while The Jungle Book: Origins marks the directorial debut of Andy Serkis after he directed several second-unit Gollum scenes on The Hobbit trilogy. Along with the news that Wonder Woman is arriving a few weeks early, Warner Bros. has also added two untitled DC movies to its upcoming DCEU slate through the end of 2020. These two currently secret DC movies will arrive on October 5, 2018 and November 1, 2019. The first new DC movie currently has no October competion for that whole month. The same goes for the 2019 release. DC and Warner Bros. will now have three movies coming out in both 2018 and 2019, which matches Marvel Studios plans to release three movies during those years as well. In 2017, they will only have two releases, as they did this year with Batman v Superman: Dawn of Justice and Suicide Squad, which hits theaters this August. Arriving next year will be the aforementioned Wonder Woman in its new release slot, along with Justice League Part 1 arriving November 17, 2017. In 2018, we will get The Flash standalone movie on March 16 followed by Aquaman on July 27. In recent weeks, it has been rumored that the Untitled Batman Reboot will arrive in 2018. The film already has a script written by Ben Affleck who will star and direct. But the movie has never been officially confirmed by DC and Warner Bros. If we had to guess, it would be this movie that is arriving in this newly announced October 5 slot. In 2019, we're getting Dwayne Johnson as Black Adam in Shazam!, which, while confirmed to be part of the DCEU, is being released by Warner Bros.' sister company New Line. Justice League Part 2 is set for June 14. And then that puts the untitled DC movie arriving in November. Guessing this title is a little harder. Most speculators have their money placed on Suicide Squad 2. But we might also see Lobo land here. It doesn't sound like Warner Bros. is at all interested in moving forward on Man of Steel 2, especially with how Batman v Superman: Dawn of Justice has been mauled by the critics, and the epic drop-off it experienced at the box office in its second weekend. Rounding out the DCEU slate in 2020 is Cyborg, a character who will reportedly appear in The Flash movie. Green Lantern Corps. brings this Phase of the DCEU to a close in summer 2020. These latest two additions to the DCEU line-up will surely keep fans guessing until they are revealed, but Warner Bros. hasn't been too fast in officially announcing these movies in the past. And that might be because they don't yet know what will fill these slots themselves. Also on the docket are Dark Universe, otherwise known as Justice League Dark. Blue Beetle and Booster Gold is a good guess too, and we can't forget about Legion of Super-Heroes, DC's galactic answer to Marvel's Guardians of the Galaxy. 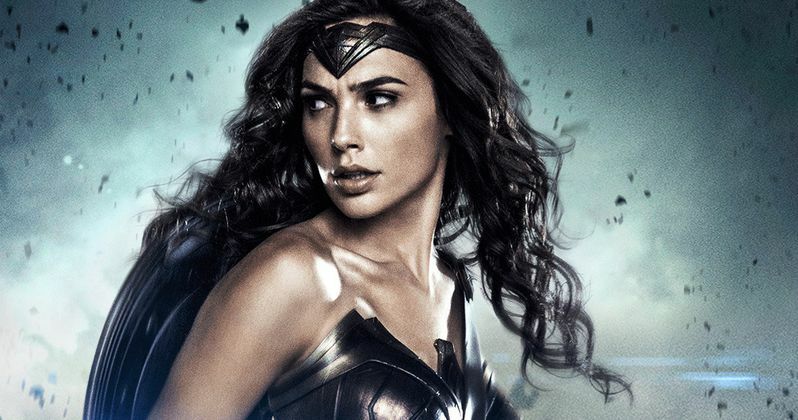 So, are you excited to see Wonder Woman show up at your multiplex sooner than expected?